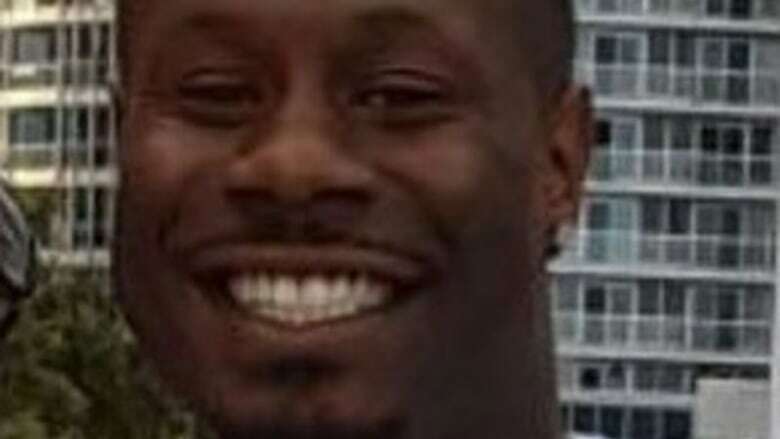 A 25-year-old man is charged with first-degree murder in the shooting death of Michael Lewis, 30, who was shot as he attended a memorial in a park with his pregnant wife and two children. A 25-year-old male is charged with first-degree murder in the shooting death of a man who was attending a memorial in a park with his pregnant wife and two children earlier this month. On the evening of Sept. 2, Michael Lewis was shot while attending a memorial in Coronation Park, along Lake Shore Boulevard near Bathurst St., for a homicide victim from nine years ago, according to police. Lewis, 30, was shot multiple times at close range. Four men approached Lewis, of Markham, Ont., and had a brief discussion with him, police said. One of the men pulled out a handgun, and all four of the men fled. Lewis collapsed and died at the scene. It was the 73rd homicide of the year in Toronto. Toronto police homicide detectives, with the help of the Gun and Gang Task Force, arrested Andrew Douglas, 25, on Thursday. He was due to appear in court on Friday.